Dimensions: 3 x 2 x 7/8"
Also thanks for the great service when I ordered my last parts." Large Diesel (HAR601) Great for many tugs and other large diesel engine work boats. Small Diesel (HAR602) Perfect for small diesel engine vessels like fishing boats and large sailboats, when in the harbor. Hicks Engine - Single Cylinder (HAR603) For single person fishing boats, and other small, dinghy-like craft. PT-Boat (HAR604) Deep throaty V8 motor for large vessels that have some speed. There are three PT Boat sounds to choose from, this is Version 1, find the other two below. Motor sound is the same, the auxiliary sounds vary. PT-Boat 2 With Air Attack (HAR604-5) Deep throaty V8 motor for large vessels that have some speed. There are three PT Boat sounds to choose from, this is Version 2, find the other two above and below. Motor sound is the same, the auxiliary sounds vary. PT-Boat 3 Machine Guns (HAR604-6) Deep throaty V8 motor for large vessels that have some speed. There are three PT Boat sounds to choose from, this is Version 3, find the other two above. Motor sound is the same, the auxiliary sounds vary. Small Steam Engine (HAR605) Made for smaller steam vessels like old fishing ships or small paddle wheelers. Large Steam Engine (HAR606) Works great on large steam cruise liners or large steam fishing ships. Chris Craft/ Pleasure Craft(HAR608) Recreates the deep V8 sound of old Chris Craft or other speed boat, the auxiliary sounds will turn heads for sure! Turbo Diesel (HAR609) A Harbor Model's favorite! Great for extra large tug boats with Turbo Diesel engines. The whine of the turbos are extremely realistic! War Ship (HAR611) This module is a little different than our others, it does not have a motor sound as in a warship the motors cannot be heard unless close the motor rooms. Instead it provides FIVE different warship auxiliary sounds to bring any warship to life! 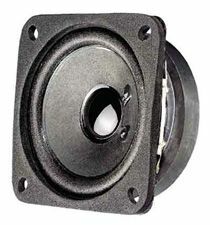 Add this to your cart to have your sound module fitted with a voltage step up unit. Simply choose the battery voltage from the drop down menu and your sound module will be supplied pre-wired to accept your battery. If the voltage is not mentioned in the drop down menu please let us know your battery voltage in the "Comments" section during checkout and we will make sure your unit is fitted with the proper step up unit. Note* Using a voltage step up can reduce the "runtime" of your battery, sometimes significantly. It is not recommended to use this feature with anything less than a 2000mAh battery. 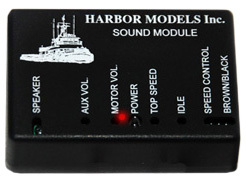 This speaker works perfectly with the Harbor Models' Sound Module. If you can fit this in your vessel this is the way to go! 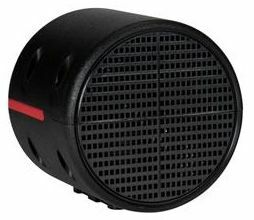 Water resistant and very durable, this speaker will give you years of great quality sound. Provided with 3 feet of wire with a connector pre-attached connector to slide right into our Sound Module's speaker output (this can easily be removed to be used with any sound card or module). Also includes mounting strips with screws.